Would you dare join forces with the vampire queen on her mission to take back what’s hers? Don’t worry, you’ll be rewarded for all your efforts. Are you ready for some danger? 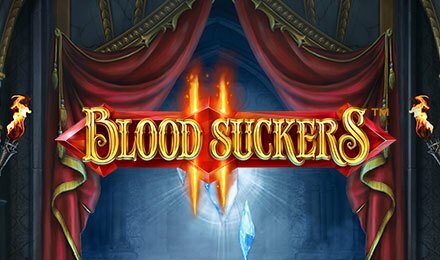 Set foot in the vampire castle where Amilia needs your help finding the lost treasures in Blood Suckers II slots. The 5 reels, 3 row and 25 payline game features, Wild symbols, Blood Rose Free Spins, and Hidden Treasures Bonus. You’ll also find two random feature that play in the main game: Bonus Shot and Scatter Shot Features. Ever since Amilia made the discovery of her lineage, she has mastered the art of crossbow. She has become dauntless and will face the demon that guards her riches.